We are specialists in providing executive transport for the conference and incentive market on Waiheke. Whether it be welcoming you at the ferry terminals on Waiheke or at the airport in Auckland, we can transfer you to your conference venue, vineyard or accommodation. You may want a short tour of Waiheke pre or post conferencing or just general daily transfers around the island. We have the experience and resources to meet your needs; comfort, convenience, privacy, security and safety are great reasons to travel with us. All of our mini-vans and coaches are fully seat belted, have air-conditioning and heating along with stereos and microphones. Our drivers are well presented, polite, courteous and knowledgeable and will chauffeur you to your destination. We work closely with a number of partners who provide a wide range of venues and services. They all provide an exceptional standard for your corporate retreat, team building event, staff training, company incentives, Christmas parties or entertaining your staff or clients. The Resorts’ experienced team takes care of all the requirements for your next conference. 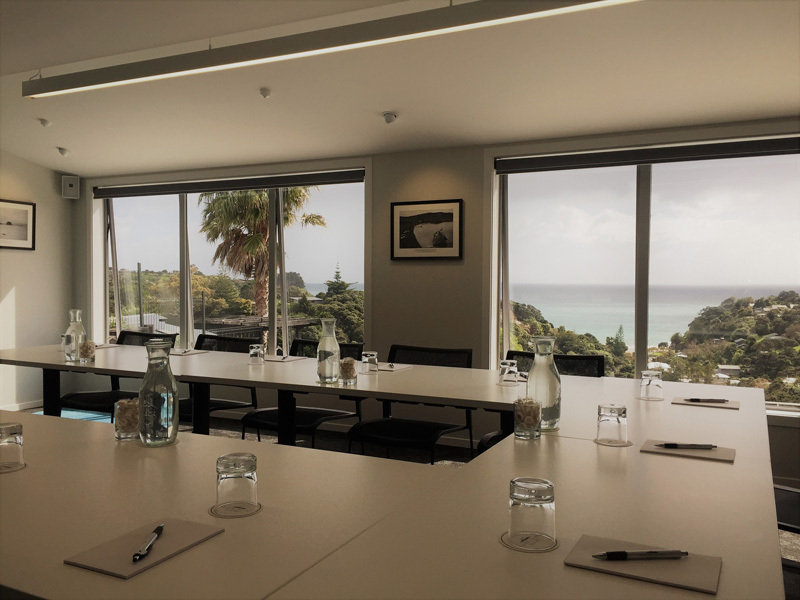 With accommodation for up to 125 delegates, 3 purpose-built conference rooms and plenty of fun-based team building activities to enjoy, The Waiheke Island Resort is the perfect choice for your conference, function or “island” getaway. The Goldie Room is an ideal location for your corporate conference or function/event. They have 3 different spaces available as well as 30 acres of beautiful grounds. 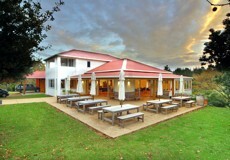 Functions are special to the team at Stonyridge because they only do a limited number each year. A penthouse is available for a meeting room. The large lounge area and balcony offers a choice of seating areas with good indoor/outdoor flow and beautiful views out to Great Barrier. 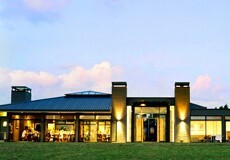 A unique multi activity venue which captures the essence of Waiheke, choose from lazer clay shooting, archery, team building or taste some wines from the vineyard or beers at Waiheke’s only brewery.